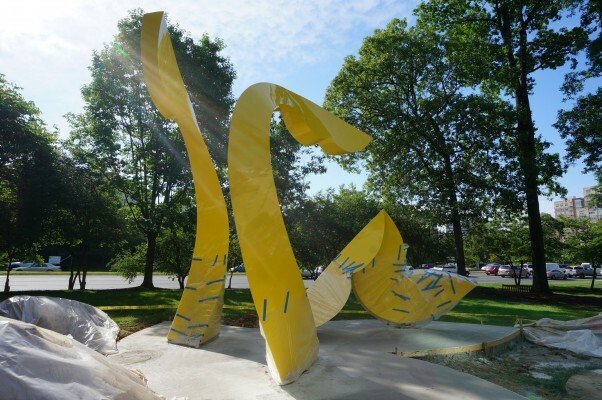 Now rising from the lawn at Hyatt Park in front of the Hyatt Regency Reston: three 18-foot curved pieces of steel in a new permanent art installation from the Initiative for Public Art Reston (IPAR). 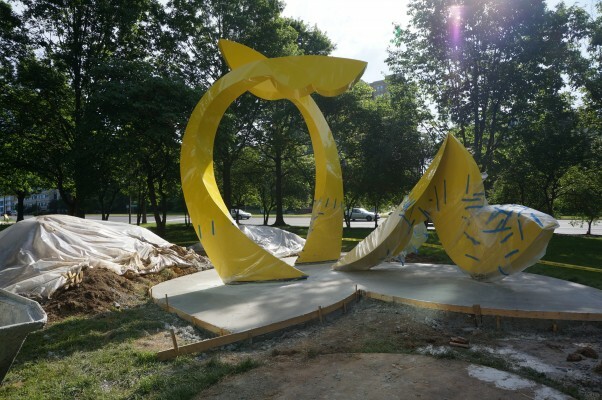 The public art project has been in the works for several years. 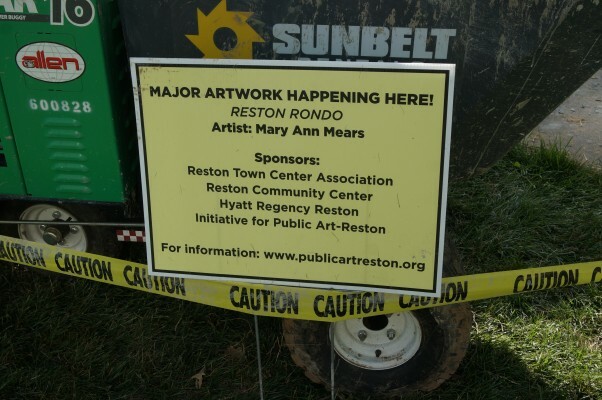 Baltimore artist Mary Ann Mears was chosen in 2011 as the winner of an open call for artists. There was a ceremonial groundbreaking at the Hyatt Park spot in June 2013. 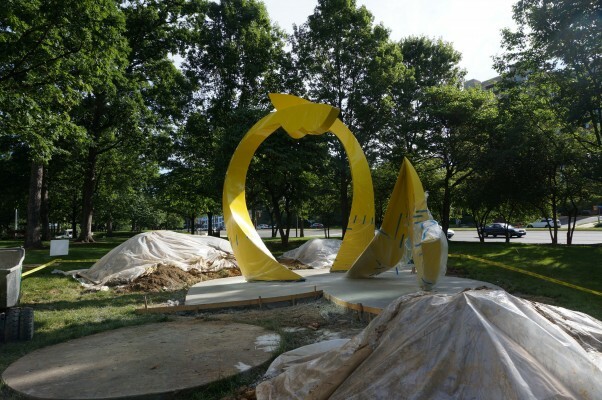 Mears has been working on the aluminum structure for nearly three years. 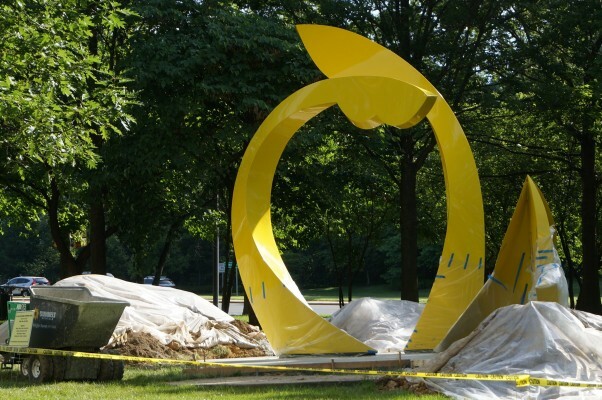 She said she tried to keep Reston’s relationship with nature in mind when designing the work.